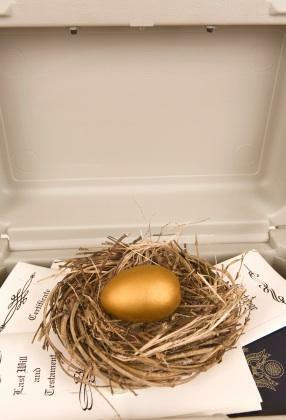 Make sure your nest egg is passed on to those that matter. While estate planning can be different for single people, planning is just as important. Finding the right estate planning strategies can help to reduce stress and worry. Examine how to make a will, power of attorney and dying intestate. A will is a legal document that provides instructions for disposing of an individual's property on his or her death. By writing a will, you will ensure that your estate will be distributed as you would want. Drawing up a will is an important estate planning strategy for single people as well as for those who are married. You choose the person(s) or organizations you would like to receive your assets. Perhaps you have a niece or nephew that you are especially close to, and you seldom have contact with your siblings. The state law doesn't take your relationship with your relatives into account. Likewise, if you want to make a gift to a good friend or a charitable organization, this will not happen unless you put your wishes in writing. If a person leaves a will, then the estate can be dealt with more efficiently than if he or she dies intestate. A power of attorney is another important thing to consider when evaluating estate planning strategies for single people. In the case of a married couple, it is generally assumed that they will make decisions for each other, should one spouse become incapacitated. Single people don't always have this option. Thus, bestowing the power of attorney to a trusted person allows that individual to make decisions when you cannot indicate your wishes. Another situation in which a power of attorney might be enforced is if you want to travel for an extended period. You can appoint someone to pay bills or look after other financial matters on your behalf until you return. It is possible to have more than one attorney for different types of decisions. One person can be designated as having responsibility for decisions unrelated to medical care, while another one will make decisions about medical treatment only. Single people may not think they have much in the way of assets to form an estate. However, if they take the time to add up the value of their life insurance policies, retirement savings plans, personal property, real estate, and collections, the total may be a pleasant surprise. Even if the estate is a relatively small one, it can be settled more quickly and efficiently if a valid will has been signed. Since no one knows what the future may bring, it makes sense to plan for the possibility of future incapacity and have a power of attorney in place.